Looking for a great meal deal? From happy hours to seafood buffets, these specials from our premium restaurants will help you make the most of your hard-earned cash. 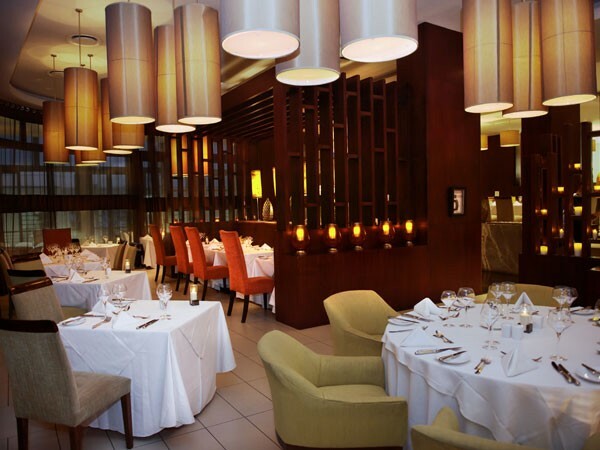 Enjoy their Sunday Lunch offering for R245 per person. Children up to 6 years old, eat for free. Guests can also enjoy the live entertainment provided for them from 12.30pm to 3pm. 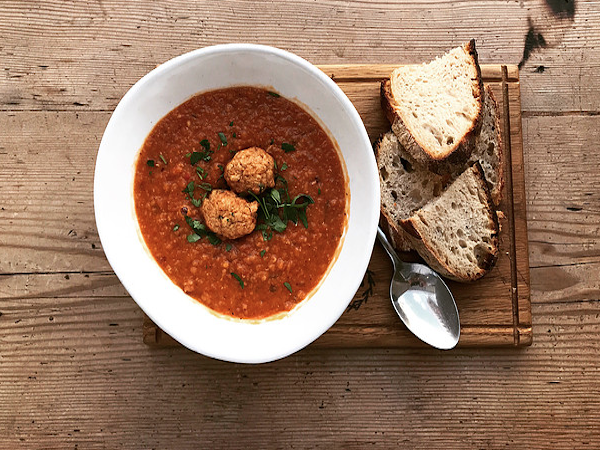 If Sunday Lunch is not your preference, you can tuck into the new tapas options available at the restaurant every Friday between 4pm and 7pm. 50% off local beers, draughts, ciders and house wines by the glass, are available during Happy Hour. 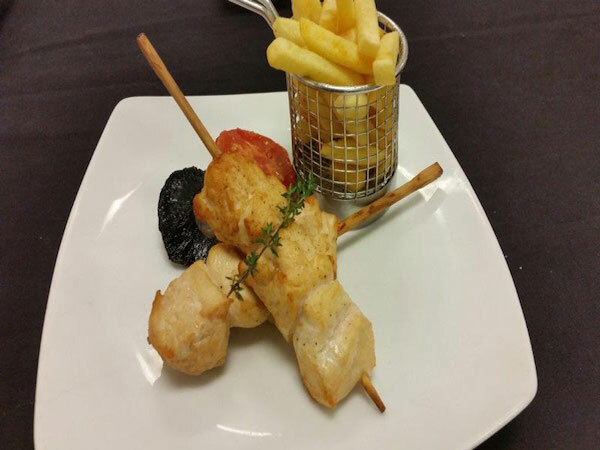 Balata Restaurant at The Fairway Hotel. Photo supplied. Enjoy live music every Friday evening at Biru. You could also book your year end function at Biru. They offer a group menu at R180 per person. Bookings are essential. Until the end of February, guests are given the opportunity to try the winner of ‘Old Fashioned Week’ SA. At R110 the award winning Old Fashioned, designed by Mixologist Devin Cross was crowned for it’s curious combination of rum, banana, jaggery and black cardamom. Get three same-coloured plates for the price of two on Mondays. 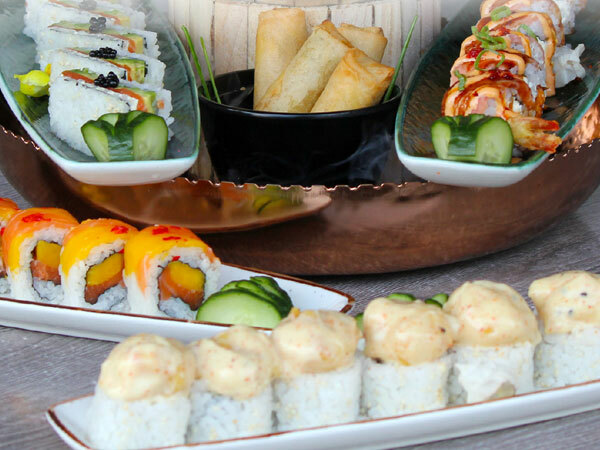 Also, all bills over R1000 will be entered into a draw to win a R1000 Yamitsuki gift card. Sushi from Yamitsuki. Photo supplied. Celebrate spring at CB with bubbles and oysters. Enjoy bottomless Gorgeous Pinot Noir Chardonnay MCC and 12 oysters, or canapés for only R300 per person. This offer is available from Monday to Friday from 12noon to 4pm. It is available only by reservation on weekends. 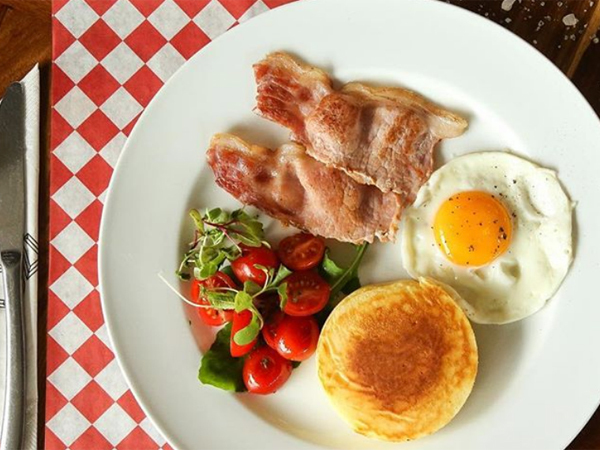 Tuck into weekday specials with breakfast deals like the Fast Lane breakfast with three rashers of bacon, two eggs, grilled tomato and two slices of toast for R37 or the eggs Benedict with eisbein and two poached eggs for R55. Lunchtime deals include an eisbein wrap for R55 or braised oxtail with mashed potato for R145. Specials are available Monday to Friday only. Guests can enjoy a Sunday Lunch Braai Buffet at R195 per person. Enjoy delicious flame grilled meats with various sides. Booking is essential. Treat the kids on Mondays by taking them to Modern Italian Kitchen, where they can eat for free between 12noon and 9pm. 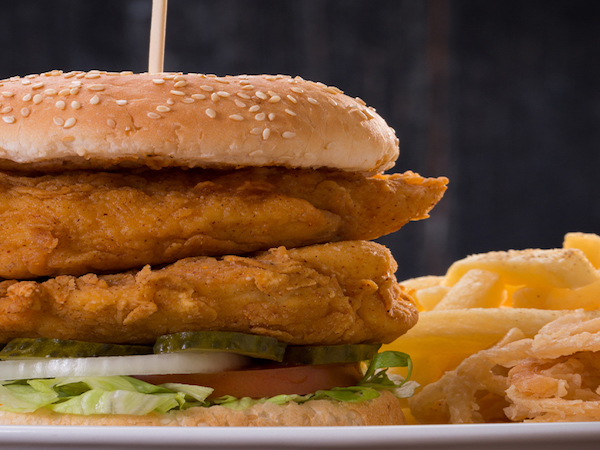 Order a large meal and receive a complimentary kids meal. Sip on the wine special every Tuesday for R55 per bottle between 12noon and 9pm. This offer only applies to selected wines. If Mondays and Tuesdays aren’t your thing, shake off the mid-week blues by enjoying Cocktail Wednesdays at MIK. Take advantage of the cocktail specials or the house wines per glass between 12noon and 9pm. Sundays, you can receive 10% off your take away when ordering on the phone between 5pm and 8pm. Grab a bite of the”Beet-The-Chills” Burger: a combination of sweet beetroot, fruity monkey-gland sauce, beef patty and fresh greens with a decent portion of fries. The perfect winter hunger buster is currently going for R102.90. Get the best start to your day at Café Grill by tucking in to their breakfast special. Guests can enjoy one of their three delicious breakfasts served daily from 7am to 11am at just R95 per person. Enjoy the five-course Summer Tasting Lunch Menu available from Tuesday to Sunday. 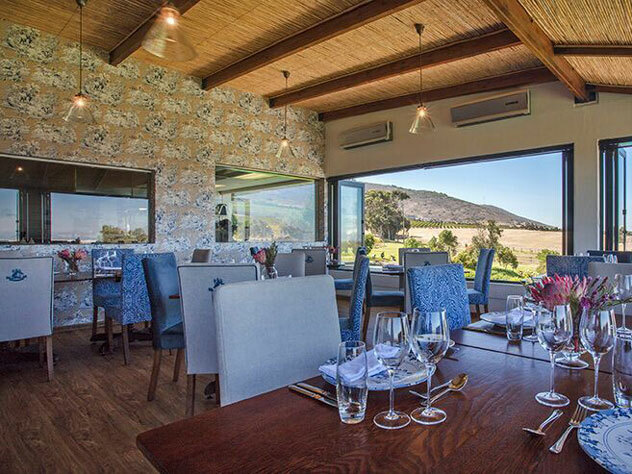 The menu with wine pairing, is available at R750 per person, and the menu without wine pairing is available at R545 per person. This offering is available until 28 February 2019. Inside at De Grendel Restaurant. Photo supplied. Enjoy R40 breakfast including the Gemelli Twins breakfast with toast of your choice plus a coffe or orange juice. This special is available weekdays from 8am to 9am. 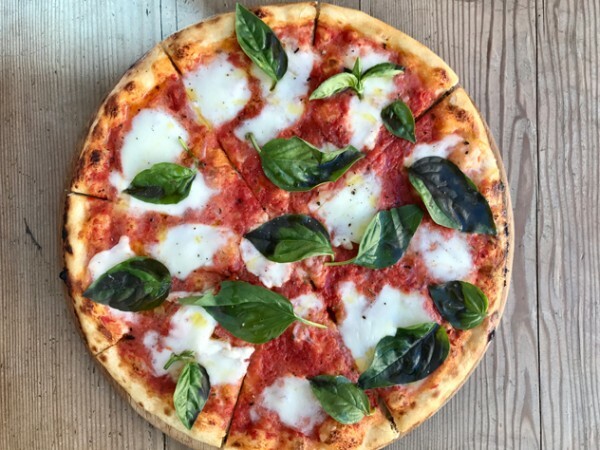 Also get two-for-one margherita pizzas every weekday from 11am to 2pm. Lastly, book your spot for a winter dinner where you’ll get two-courses plus a glass of wine for R220 every Thursday and Friday evening. A classic margherita at Giulio’s. Photo supplied. 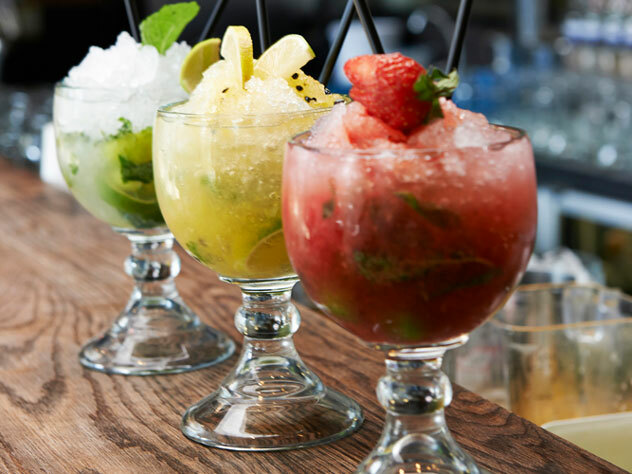 Whether you’d like to end your day with tasty tapas or delicious cocktails, Harringtons has just the thing for you. Enjoy the half price tapas special all day, every Wednesday and until 7pm from Thursday to Saturday. Sip on ice cold classic cocktails, local bubbly, house wine, pairing spirits, Standard Brewing Co. Lager and Pilsner at half price during Happy Hour from 5pm to 7pm. 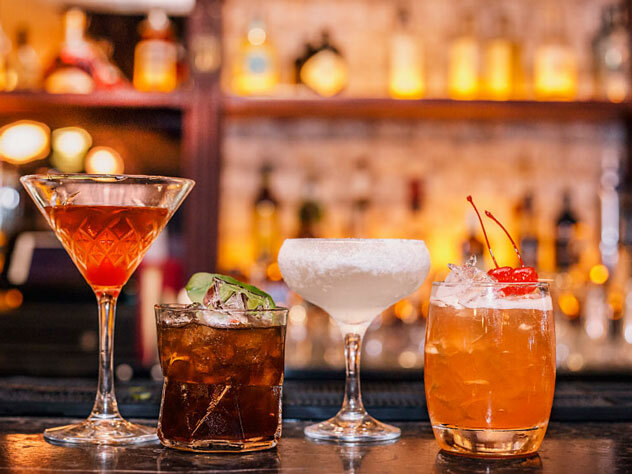 Enjoy selected cocktails at half price. For reservations call 021 4612276 or email Harringtons@thefirmct.co.za. Bookings are essential. Cocktails at Harringtons. Photo supplied. 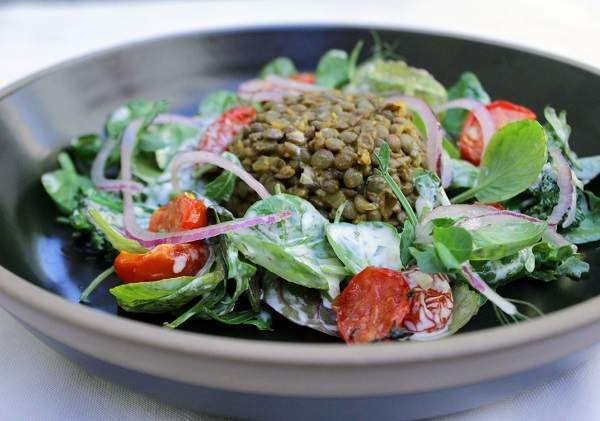 Enjoy the five-course Summer Tasting Menu at La Mouette. Guests can look forward to snacks of truffle and cheese croquettes, salt and pepper squid, burrata or house cured Duck salad. Mains include beed fillet or pan-fried line fish and an Eton Mess rounds it all off for dessert. The menu is available at R550 per person without wine and R975 with wine. Bookings are essential. 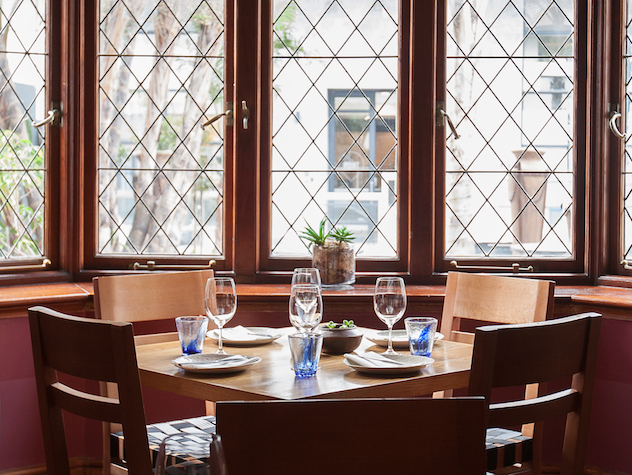 A window seat at La Mouette. Photo supplied. Sip rosé all day at Roast & Co. For just R145, you can be enjoying delicious, crisp glasses of rosé from 12noon to 5pm when a main meal is ordered. This offer is only available on 26 January. Bring a date, your mate or your mother, just don’t miss out on the daily specials at TVI. 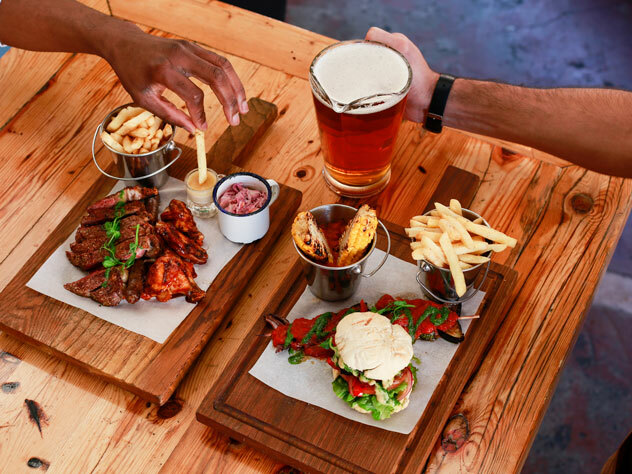 Tuesdays you can enjoy two mains and a bottle of house wine or beer jug at R300. 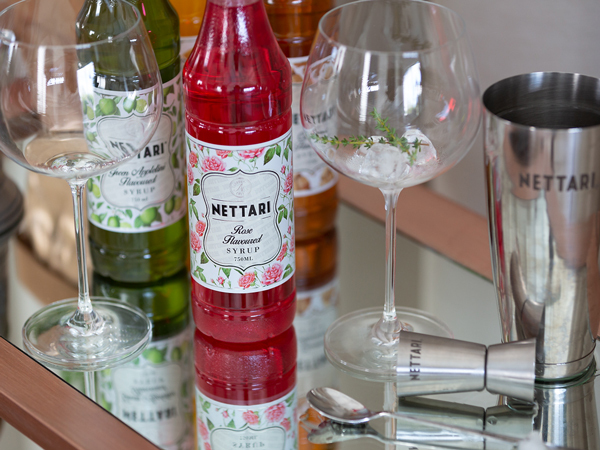 Wednesdays guests can choose an opportunity to ‘Pimp Your Gin’ for R40. Bottomless wings and chips are available at R95 per person and you can sip on an ice cold 1l Jug of Standard Lager or Pilsner for R70. 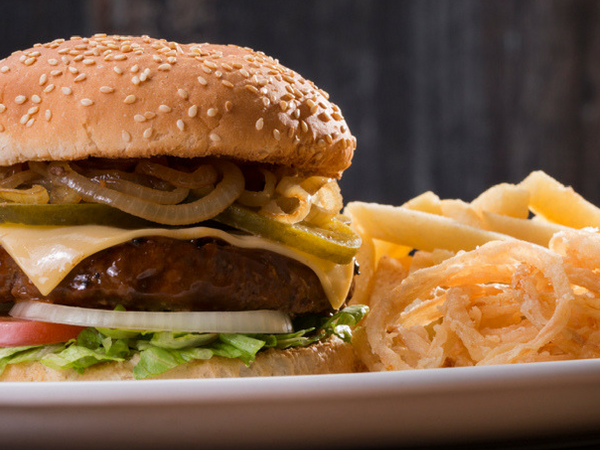 Thursdays, you can tuck into any burger or salad and a glass of house wine or Standard Beer for R90. Fridays between 3pm and 5pm, you can enjoy their Bottomless Bubbly on offer at R100 per person. You can also indulge in their half price combos of ribs and calamari, fish and calamari or ribs and wings. Saturdays between 2pm and 6pm, half price ribs and drinks are available. Food prepared and served at The Village Idiot. Photo supplied. Chill out and enjoy the Heritage Day Jazz on the lawn with traditional braai on 24 September. Entrance will be free, and the restaurant will be open or you could enjoy kebabs, boerewors, roosterkoek and oysters on the lawn, sip on a glass of Kaapse Vonkel or one of their new spring cocktails. R20 gets you a glass to take home. Gates open from 11am to 5pm. 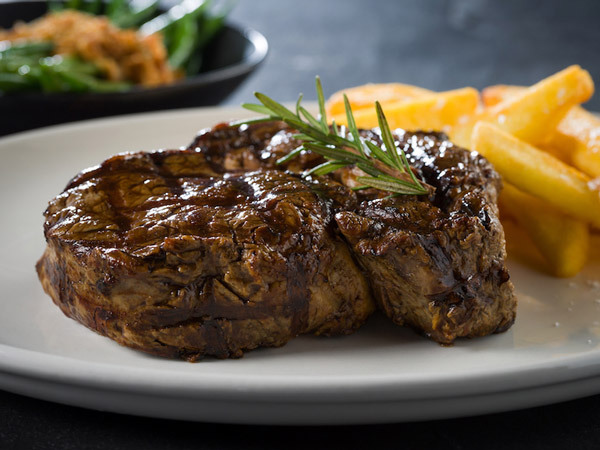 Tuck in to their three-course Summer special menu at just R400 per person. 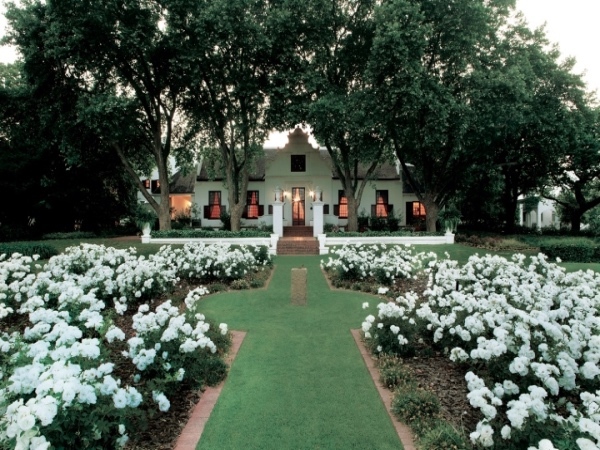 Expect dishes of wild risotto, braised shoulder of Karoo Lamb and a pavlova with passion fruit curd and tropical fruit. Book your table with their Dining Team on 021 883 3132 or manager@helenasrestaurant.co.za. Bookings are essential. Enjoy ice cold beer or cocktails at Hudson from 4.30pm to 6.30pm from Monday to Friday during Happy Hour. If Happy hour is not special enough for you, stop by for ‘Slider Thursdays’ and enjoy delicious sliders at R25 (minimum three ordered). Cocktails prepared and served at Hudsons. Photo supplied. For more information on going Premium on Eat Out, email ryan.floris@newmediapub.co.za.